Why Choose Pin Zone Trading Pins? If you've never ordered trading pins before, we'll help you get started. Your budget, ideas and wishes will be considered by our expert team of designers. Our staff can help create a design that will make your pin the most "popular" pin while considering your budget. Simply contact us with any questions you may have. The quantity of pins you order affects thel price of your trading pins. Design setup and manufacturing costs can be spread over larger orders, the more trading pins you order at one time, the less expensive each pin will be. An average order for a team of 13 is about 40 pins per player. Trading pins come in all different shapes and sizes. Larger pins are highly sought after, but are a little more expensive than smaller pins. Because we produce many pins, we recommend pins are at least 1 ½" in size. It allows the factory more room to enhance the details of your pin, while making your pins more "tradeable". There are many ways to produce your pins, but we want you to have the best pin at the tournament. Because different types of pins requires different materials or a different manufacturing process, the prices will vary. 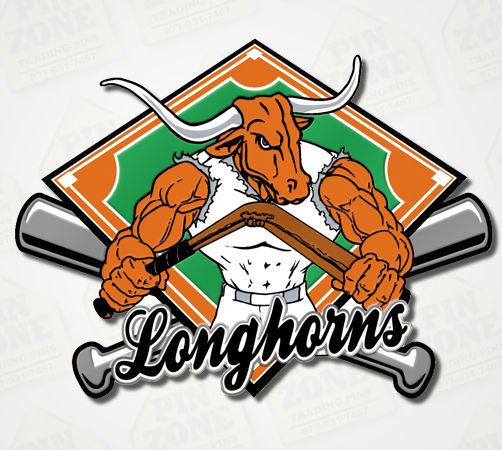 Soft enamel and photo-etched are among the most popular processes to produce sports trading pins. 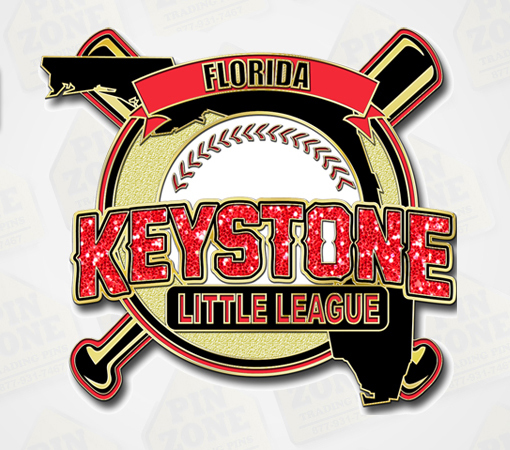 Pin Zone includes up to 7 colors on your baseball trading pins absolutely FREE-of-charge. Our experienced design team will create pin designs absolutely FREE. With your ideas and input, we will send you computer-generated artwork via e-mail for you to review. Make any changes you'd like. It only makes the pins better. Unlimited revisions are available. At Pinzonepins.com, we know you’re looking for great designs, great service and great value. 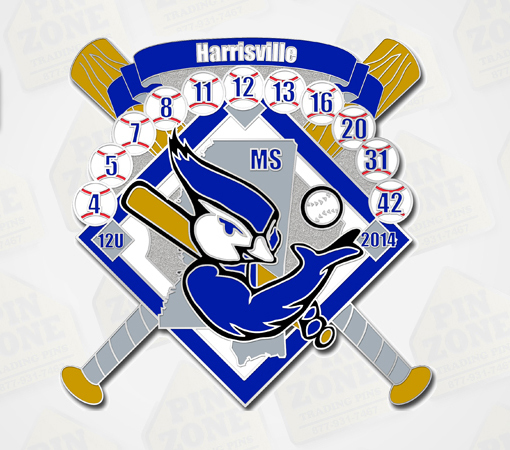 We offer every custom sports pins style you can order, designed specifically for your TEAM. Our customer service is second to none. And when it comes to value, we guarantee the lowest-price available! Custom Design, artwork or revisions are FREE. And we don’t charge a mold fee or setup charge. We offer free shipping anywhere in the U.S.A. Pins are individual bagged. And we back it all up with our 100% satisfaction guarantee. 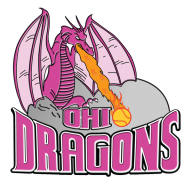 We’re committed to giving your team the pins everyone will want at the tournaments you attend. Our specially-trained artists will help you design your custom trading pins that will be a “BIG HIT” – FREE of charge! We offer soft enamel-cloisonné, screen print, die-struck that are ideal for detailed designs. Our team will help you decide which type is best for your team. Pins can be finished with a clear epoxy dome. And you can add extras like GLITTER, spinners, and blinkers to increase their trading appeal. Soft enamel pins are similar to hard enamel pins, but more affordable. Die-struck pins provide a 3-d, jewelry effect for classy pins. Colors are silk screen printed onto a brass base material in a method similar to screening T-shirts except on a very small scale. Is good choice for sports trading pins, larger pins and pins with blinking lights. Cloisonne is most traditional and jewelry-like process to produce pins. Danglers, spinners, sliders, glitter and blinking light pins are very popular with most teams, but also carry a higher price.